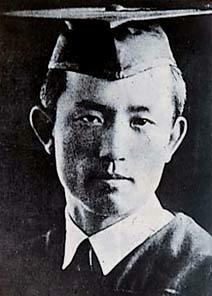 Yun Tongju was arrested in 1943 as a thought criminal and confined in Fukuoka Prison, where he died. His first collection of poetry — Sky, wind, stars and poetry — was not published in his lifetime for fear of Japanese censorship; it eventually was published in 1948.
on top of the church. that high on the steeple? I might as well whistle and hang around.